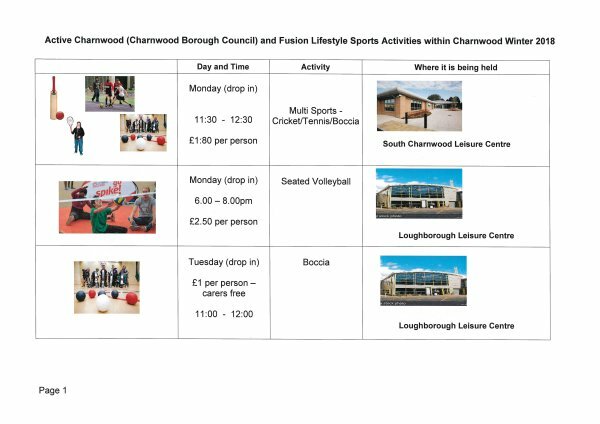 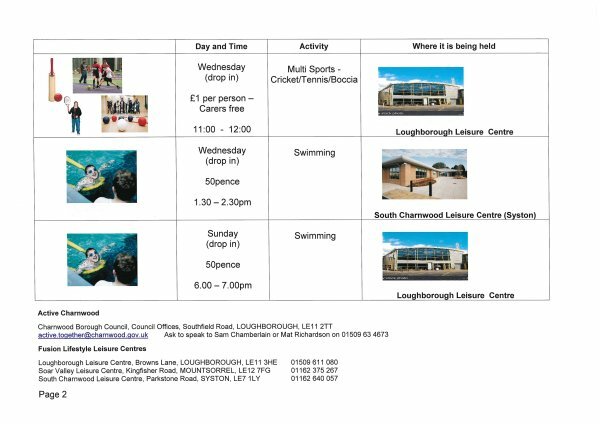 We have a variety of Sports and Physical Activity sessions across Charnwood which take place each week, including multi-sports, seated volleyball, Boccia and Swimming. 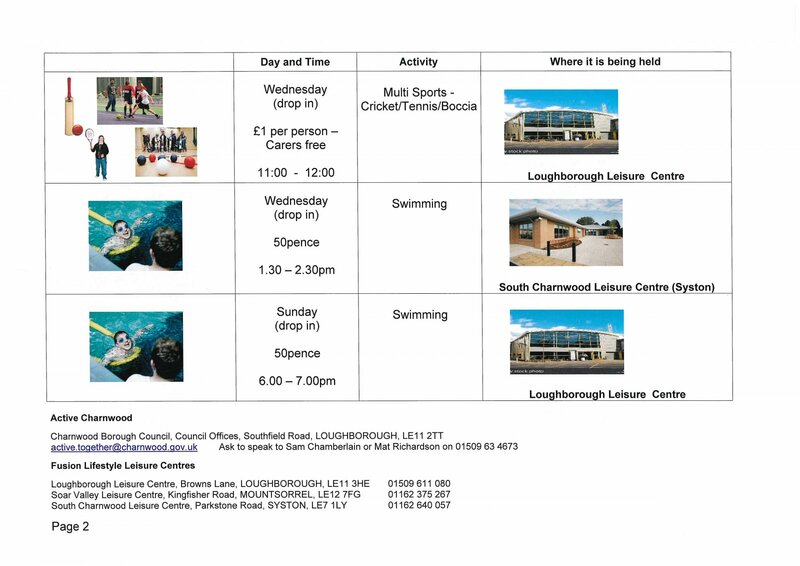 Take a look at the poster for dates and times. Activities are turn up and take part unless stated otherwise.